As every year when Berlinale hits town there’s hundreds of events, concerts and exhibitions. Nick Cave is in town, there will be a Berlinale Special Tribute in memory of Philip Seymour Hoffman with a special screening of Capote and this years Retrospectives will be focus on light in film. Audiences will have an opportunity to discover lighting styles in Japanese, American and European films between 1915 and 1950. Besides all the great things Berlinale has to offer, if you want to take a deep breath and get away from the crowd there’s pretty much vintage related events going on this weekend. A true Berliner values his bicycle! Some of us, the lucky ones, even have amazingly good-looking vintage bikes that we lock in the house at night – bikes are the most stolen thing in Berlin. Taking care of your bike can be complicated – even more if it’s a vintage one – and finding the right parts, a nightmare. Well, not anymore! At Steel Vintage Bikes you’ll find all the bicycle you’ve been dreaming on or all the parts you need. Plus they are hosting a free workshop this Saturday from 5pm till 8pm. And yes, only vintage bikers are allowed to go so don’t try to sneak in with your Mauerpark bike! Now that your bike is ready to rock take her to a nice ride. The weather will be good and shopping at night as a different enchantment. THE WARDROBE is a curated lineup of Berlin’s top fashionistas and private vintage collectors eager to offer you exclusive bargains on their selection of stylish clothes and accessories. Entry is only 1€ and – despite their music choice – not my style or vintage – I’m sure you’ll find the perfect outfit for Sunday Soirée. Well, well, well! I can’t think about a better way to finish your glorious weekend. Cocktails, classy women and great music. The entry is only 10€, but if you would like a discount on the door share their Facebook event with your friends and then send a message to Bravo Burlesque to receive the secret password. P.s. 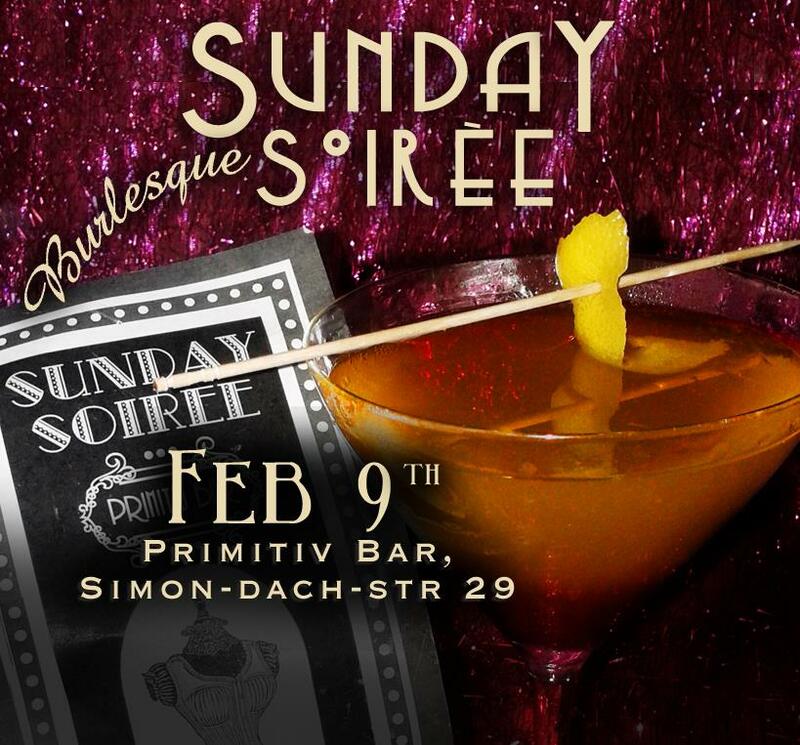 If you can’t make it this Sunday, you can always wear the dress you bought at next’s week Gin Palace Cabaret! I’ll be the DJ in both events.